Maytag Neptune MAH4000AWW - No Spin. My Maytag Neptune washer no longer spins. It sounds like it tries to spin, but it just never gets going. Re: Maytag Neptune MAH4000AWW - No Spin. The first thing I would check on your neptune washer is the control board that is on top behind the timer. There are three screws along top that you will have to remove. Then you will be able to flip the front console towards you and lay it on top the washer. Take a close look at the control board. Find the R-11 resistor. If it is burnt looking you will need to replace that control board. You will also need to replace the wax motor that is located in the door lock assembly. If you don't replace the door lock wax motor at the same time you will damage the new control board. 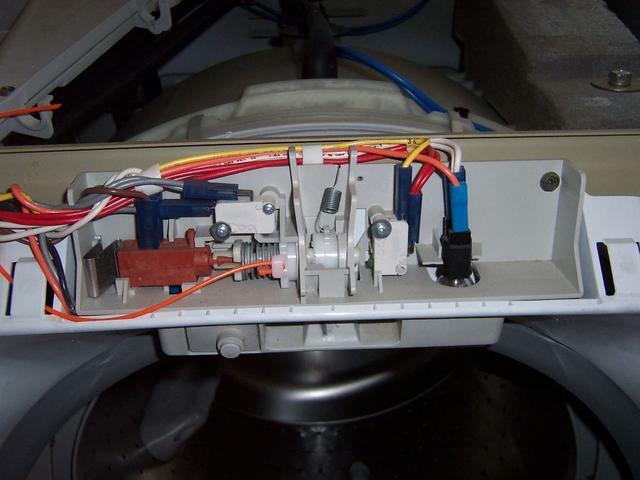 Here are the parts you will need to order to repair your Maytag neptune. If you have never replaced your washer fill hoses now would be a good time. 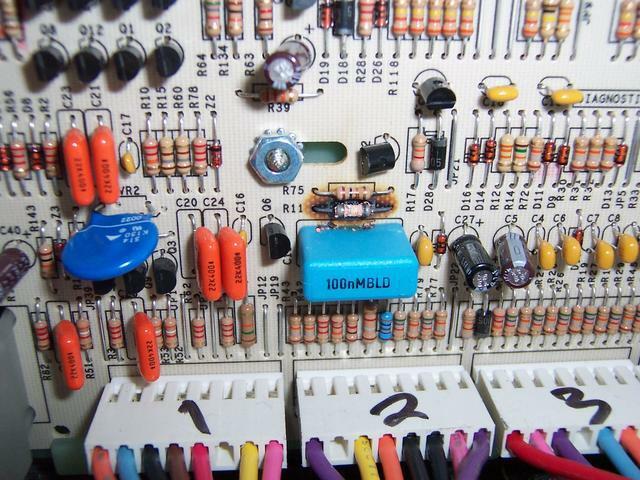 I took a look at the control board and the R-11 resistor is burnt up. Wow, that control board sure is not cheap! After talking it over with the wife we decide to go ahead and order the parts. We looked it up and we paid over $1000.00 when we bought the washer new. Guess doing the repair our selfs is going to save us some money too. We don't have any appliance parts places around here so I went ahead and ordered the parts online from the links you posted. Thanks for the fast reply and saving us the money on having a tech come to the house. We hope to have the parts in a couple day's and get this thing up and running again. Will post a update as to how the repair goes. Yeah, that control board is not very cheap. It is a very easy repair though so you should have no trouble doing it yourself. Here is a Maytag Neptune repair manual. It is for the MAH3000, but the MAH4000 is much the same. Good luck with the repair and will be looking forward to hearing how it goes. I have replaced the R-11 resistor and the wax motor but still no good. Do I need to replace the entire board? Do other parts of the Machine Control Board get damaged when the wax motor goes out? I have seen other sites where the wax motor and the MCB have been replaced with no results? I don't mind speding the $ for the board if that is the end of it but I don't want to keep plowing $ into this if it's just going to continue to be a money pit. I guess I am looking for technical advice as well as long term reliability of this washer model. Lastly, I noticed you suggested changing the fill hoses? Just good maintenance or is there a reason for the suggestion that is associated with the repair issue? I have replaced the R-11 resistor and the wax motor but still no good. Do I need to replace the entire board? If the R-11 resistor was burnt then yes you need to replace the board not just the resistor. Do other parts of the Machine Control Board get damaged when the wax motor goes out? Yes and you can't always tell what ones. I guess I am looking for technical advice as well as long term reliability of this washer model. How old is your washer? Is it getting noisy during the spin cycle? We have lots of trouble with tub bearings in these washers when they get around 5-7 years old. Yep, just good maintenance that should be done on any washer. Not to contradict Larry above (who no doubt knows more about appliances than I do), but I have recently had success simply replacing the R-11 resistor along with the associated Q-6 triode. The cost difference was about an order of magnitude and the repair certainly wasn't difficult to do. Of course, there could be other causes as to why the washer won't spin and it is possible that other components on the board are damaged. However, these two components aren't terribly difficult to replace and may well be worth the time and savings to try prior to spending $300 (approx.) on a new controller board. Whether anyone chooses to replace the board or to simply replace the components, be certain to upgrade the wax motor (motor which engages the front door lock) as it appears to be the root cause of the problem. Frankly, even if you haven't had this problem, I would think replacing this rather failure-prone element is a good idea. I was able to get a repair kit online for about $35 (motor, resistor, and triode). Hopefully this information will be helpful to others. Thanks for the very helpful and informative forum! Glad to hear the repair kit did the trick for your washer. We have tried to fix a number of used neptunes that we took in on trade by repairing the board as you did. Half the time it did the trick and I would guess that of the half that did work half of them ended up going out again in the first six months. In the long run we decided it's just best for us to replace the boards with new ones as we have to stand behind our work. Ok one more and I'll leave this alone - AJ - read just about all I could on the site you recommended. Great info and greatly appreciated and in an effort at one last shot before I throw this on the scrap heap. Will the Q6 Triad/Triac show signs of damage like the R11 resistor did? Mine looks good so I am wondering about the additional lost time while I track down the parts and get this done. Clothes pile is getting very large and mama is not happy. Will the Q6 Triad/Triac show signs of damage like the R11 resistor did? In my case, the Q6 did not show any sign of damage or burning (mine looked essentially identical to Larry's photo above). However, the information I had read elsewhere indicated that it would need to be replaced regardless. Also, at this probably goes to what Larry was saying above regarding the hit-or-miss nature of the repair, I found it necessary to scrap back the printed leads on the circuit board and over-solder in order to ensure proper connection to component leads. It looked a bit messy but it works great. I do not know the technical specs on the Q6, but you may be able to find one at your local electronics parts store (if you live in a larger area). I ordered a kit online. That site or similar sites may sell you just the Q6 without the other related parts to this issue. If nothing else, it certainly was fun to dust off the soldering iron. I would say less then half the time I could tell the Q6 was damaged just by looking at it. Most of the time only the resistor was burnt looking. I just joined because of a bearing problem but thought that I should add my two cents worth. A couple of years ago our Neptune model MAH4000AWW quit spinning and a quick search of the Web determined that there was a free upgrade because of excessive mold build up that included a new control board and the technician as I recall also replaced the wax motor and only charged for the part. When he took the control board out I verified that it was indeed a fried resistor. I still have the paperwork somewhere if anyone is interested in more details. Yeah, I put a few of them kits in myself. Come with a door boot, control board and the new style wax motor with the black plunger on the end. I still have the paperwork somewhere if anyone is interested in more details. By the way any chance of getting the rest of the manual loaded for the 3000/4000? I was only able to download thru section 5. need to look at the bearing section. The manual is 157 pages. How many pages did you get when you downloaded? My mistake, I didn't realize that there were supplements to the manual and just went to page 157 which was the last page of a supplement. I got our Neptune repaired for almost free January of 2004. It wouldn't spin cycle and a search of the internet turned up the free fix for mold if it had not been done at the factory. It took a month for Maytag to send the kit to the local repair facility. The repairman told me that the kits were at one time stocked by the repair centers but that Maytag had then stopped that policy. I was charged $18.95 for the wax motor as it was not in the mold kit. I also paid for a new bezel for the soap loading door as one of the ears was broken: the new one was obviously molded differently to avoid the stress riser that has caused the original to failure. Anyway, I have a washer that sounds like a jet about to take off during the spin cycle. What is the bearing size and what is the probability that the aluminum part holding the outer race of the bearing is also damaged? I'm trying not to take the washer apart until my wife gets that "last" load of wash done. Then I'd like to have the parts ready and just fix it. The only way I have repaired the neptunes with bad tub bearings is to install the outer tub assembly. Your looking around $200 for that part. If you scroll down the site here and look on the left hand side you will see a box that you can enter your neptune model number in. This will give you all the parts diagrams and prices. The bearing is factory installed and not sold as a Maytag part. Thanks for the advice. The parts are on order. Viva la $click. The hassle of sizing, ordering and r/r bearings that weren't meant to be field serviceable did not appeal to me. If you get the chance to it would be great if you could snap some photos to post of it taken apart. I don't have any photos to show of one with the tub being replace. I will if I have a digital camera available, my Fuji is being repaired.